From each plant, tall, graceful stems shoot from the ground in spring and grow to almost 1 metre. The creamy spikes are formed on thin side branches off the main stems. 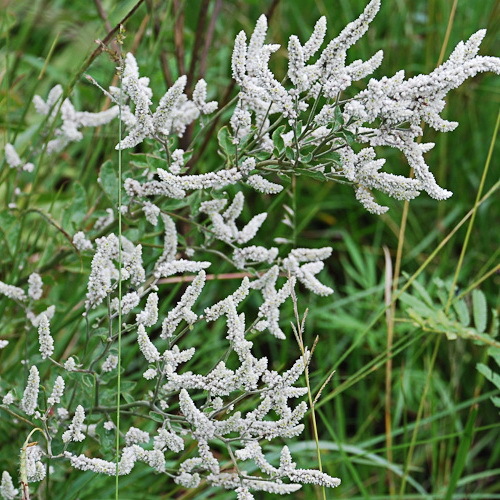 Aerva leucura has graceful stems that shoot from the ground in spring and grow to almost 1 metre. 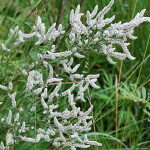 The creamy spikes are formed on thin side branches off the main stems. In the drooping flowering spikes one can see the tiny, green flowers that open randomly and only a few at a time. The dull green leaves turn yellow or red in autumn. The plant may go completely dormant but will sprout again in Spring. It is a plant with little demand both in terms of water and soil.